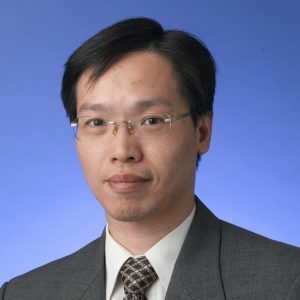 Prof. Wai-ming Fong obtained his BSSc in Economics from The Chinese University of Hong Kong (CUHK), and PhD in Finance from The Ohio State University. He is now an Associate Professor of Finance at CUHK Business School. He receives annually teaching awards of the Business School. In the academic year 2002/2003, he received the Business School’s Outstanding Teacher Award. His research interests focus on dynamics of asset prices, market microstructure, and Hong Kong financial markets. He has a number of publications in well-respected finance journals, including Journal of Financial Economics, Review of Financial Studies, and Journal of Banking and Finance. He also contributes to the profession; for example, he is now a member of Banking and Finance Industry Training Board of Vocational Training Council, Hong Kong. Wai-ming Fong and Kevin Lam (2014), “Rights Offerings and Expropriation by Controlling Shareholders,” Journal of Business Finance and Accounting, 41, 773-790. Wai-ming Fong, Giorgio Valente, and Joseph K. W. Fung (2010), “Covered interest arbitrage profits: The role of liquidity and credit risk“, Journal of Banking and Finance, 34, 1098-1107. Wai-ming Fong, Kalok Chan, and Kee-Hong Bae (2008), “International Portfolio Allocations during the Asian Financial Crisis: Evidence from U.S. closed-end funds.” In Stock Market Liquidity: Implications for market microstructure and asset pricing, edited by F. Lhabitant and G. Gregoriou, John Wiley & Sons, Inc., pp. 95-113. Wai-ming Fong, Najah Attig, Yoser Gadhoum, and Larry Lang (2006), “Effects of Large Shareholding on Information Asymmetry and Stock Liquidity,” Journal of Banking and Finance, 30, 2875-2892. Wai-ming Fong and Kevin Lam (2004), “Privatisation and Performance: The Experience of Firms in China,” The Chinese Economy, 37, 5-27. Wai-ming Fong and Siu-yeung Chan (2004), “Individual Investors’ Sentiment and Temporary Stock Price Pressure,” Journal of Business Finance and Accounting, 31, 823-836. Wai-ming Fong, Kalok Chan, and Yue-cheong Chan (2004), “Free Float and Market Liquidity: A Study of Hong Kong Government Intervention,” Journal of Financial Research, 27, 179-197. Wai-ming Fong, Kalok Chan, and Peter Chung (2002), “The Informational Role of Stock and Option Volume,” Review of Financial Studies, 15, 1049-1075. Wai-ming Fong and Raymond Chiang (2001), “Relative Informational Efficiency of Cash, Futures, and Options Markets: The Case of an Emerging Market,” Journal of Banking and Finance, 25, 355-375. Wai-ming Fong and Kalok Chan (2000), “Trade Size, Order Imbalance, and the Volatility-Volume Relation,” Journal of Financial Economics, 57, 247-273. Wai-ming Fong and Siu Y. Chan (2000), “The Information Content of Corporate Domicile Relocation Announcements: The Case of Hong Kong,” Applied Financial Economics, 10, 635-644. Wai-ming Fong, K. C. Chan, B. C. Kho, and R. Stulz (1996), “Information, Trading, and Stock Returns: Lessons from Dually-Listed Securities,” Journal of Banking and Finance, 20, 1161-1187. Wai-ming Fong and Siu Y. Chan (1996), “Reactions of the Hong Kong Stock Market to the Publication of Second-Hand Analysts’ Recommendation Information,” Journal of Business Finance and Accounting, 23, 1121-1139. Wai-ming Fong (1996), “New York Stock Exchange Trading Halts and Volatility,” International Review of Economics and Finance, 5, 243-257.